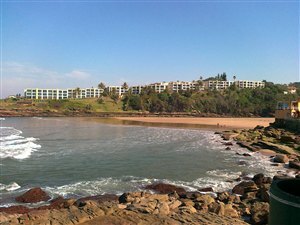 Windsor Guest House is conveniently situated in Port Edward on the lower South Coast of KwaZulu-Natal. 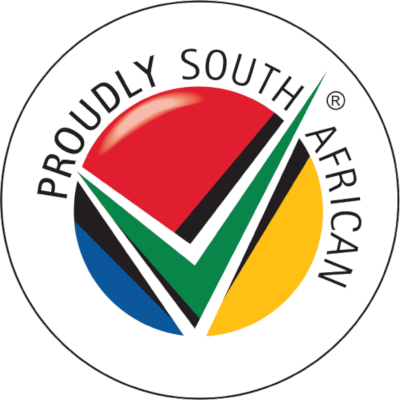 We pride ourselves in offering the best in affordable luxury accommodation and are confident you will always enjoy your stay with us. We are only a stones throw away from the Indian Ocean and boast stunning sea views. We are positioned less than 100 metres from all amenities required including restaurants, a post office, banks with ATM's and a supermarket. 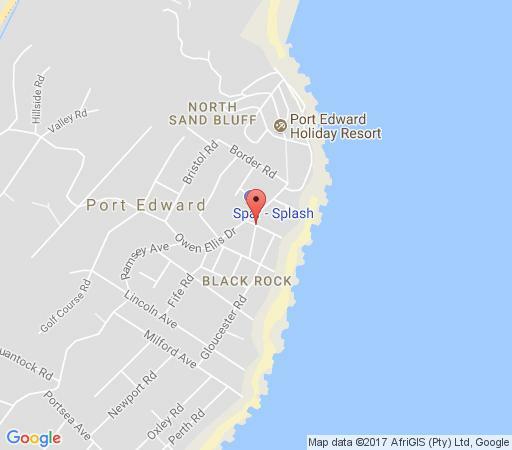 The safe, golden beach of Port Edward is only a three minute stroll along a stunning coastal footpath, passing many superb fishing spots including Splash Rock. You can experience the splendour of the many top golf courses, including Southbroom and San Lameer as they are only 15 minute drive away. The Wild Coast Sun International, within its world class course and casino is only five minute drive from the guest house. We have eight gorgeous rooms, six double rooms and two master suites with king size bed, dressing room and large bathroom. Six rooms overlook the Indian Ocean and they all have full en-suite bathrooms. The rooms are equipped with TV's (M-Net), hairdryers, a selection of toiletries, hospitality trays and all linen and towels are provided. You will also find a guide to the surrounding area, helping you to enjoy the South Coast to its best. We also have the added benefit of a sparkling pool, braai (barbecue) area and fully licensed bar with a pool table and dartboard to make your stay an even more enjoyable one. Smoking is permitted in these areas but not in the rooms. 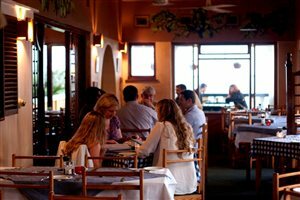 On the first floor you will find a huge lounge where you can relax and enjoy the amazing view right up the coast. A delicious breakfast is included in the rate which consists of cereal, yoghurt's, fresh fruit, juice, filter coffee as well as the full English with toast and preserves. Children are welcome, our family room has a king size bed and bunk beds and the pool is fenced off for safety purposes. We have 24 hour staff providing a friendly and safe environment for yourself, your family and your belongings. 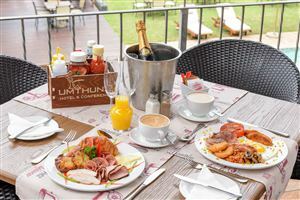 Rates include full delicious breakfast and secure parking. Entire house on a self catering basis. Eight en-suite bedrooms, lounge, kitchen, braai area, pool, bar plus 24 hour staff. Ground floor room with patio doors leading to a verandah overlooking the garden to the sea. Ground floor room with a king size bed and double bunks. We enjoyed our stay very much! Staff very friendly, just a little disappointed with the actual facility - thought it was a little run down. I had a great time in Port Edward and enjoyed my stay at Windsor Guest House. Petro and her staff were so friendly and very helpful. I felt I was at my second home. I will definitely visit Windsor Guest House again.